There are currently 90,606 users on this website. I like to add extra stuff to "spice" up my national collection. I always buy banking stuff that goes along with notes I own and sometimes the miscellaneous banking items are even harder to find than the notes. Here's one that I have a lot of neat stuff for. Notice the signatures on the bill are the same names as on the top left of the letter, as well as the signature on the bottom. Here's another bank that I found checks for. 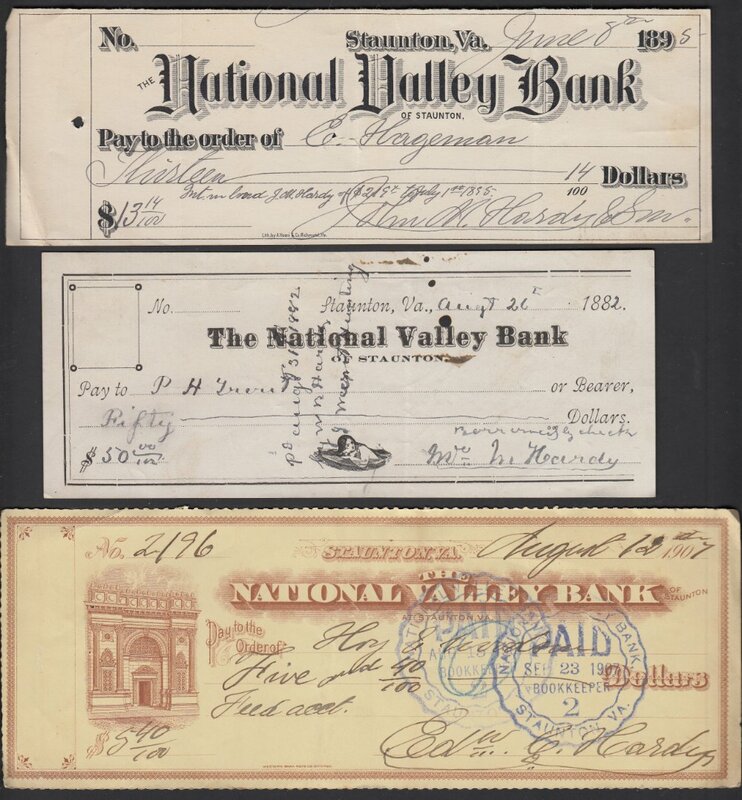 One of the checks has an illustration of the actual bank. That's very interesting. I take it the note came first? Tell us more. Yes, note was first. I actually bought it from a coin shop just north of Staunton. The checks and letter actually came up over a year later while browsing an antique shop while traveling in the same area. Also a similar story for the Roanoke bundle. 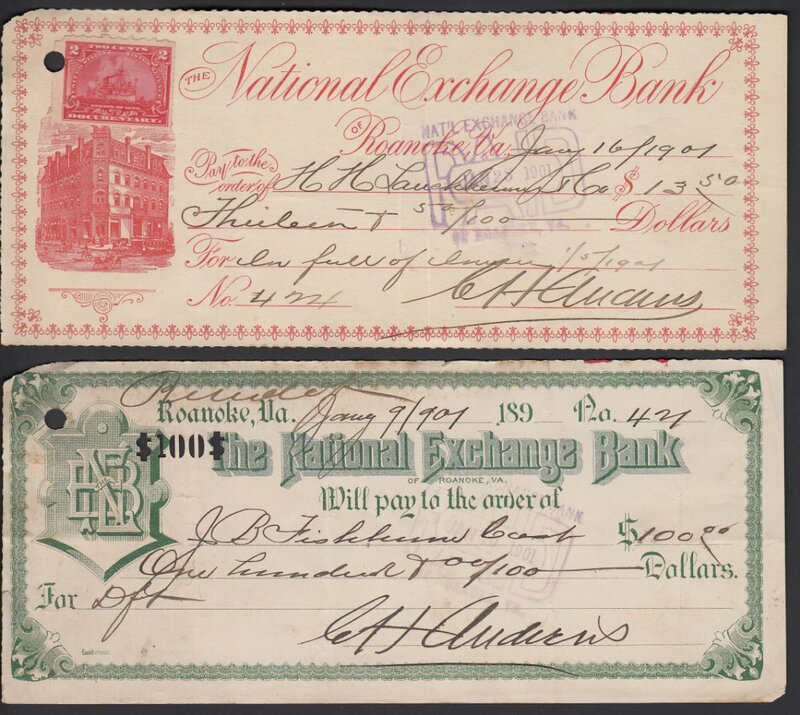 I found the checks tucked into a corner of an antique display locally. Only difference is the note, which I bought from Heritage. Wheat great items. Those add ons are definitely a way to add some real POP to a collection. Really cool glimpse into history. Are those checks pricey? I'm into doing the same thing with my hometowns...very hard to find period correct items to go along with notes. Great Job!! Very nice tie-ins. Would look great displayed. Not really. 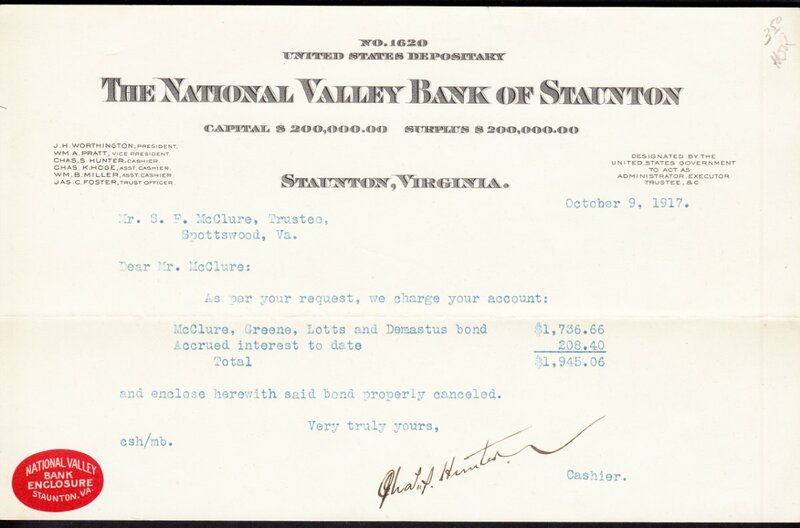 I bought a massive bundle of old Staunton checks for $10. They're inexpensive and fun to collect.